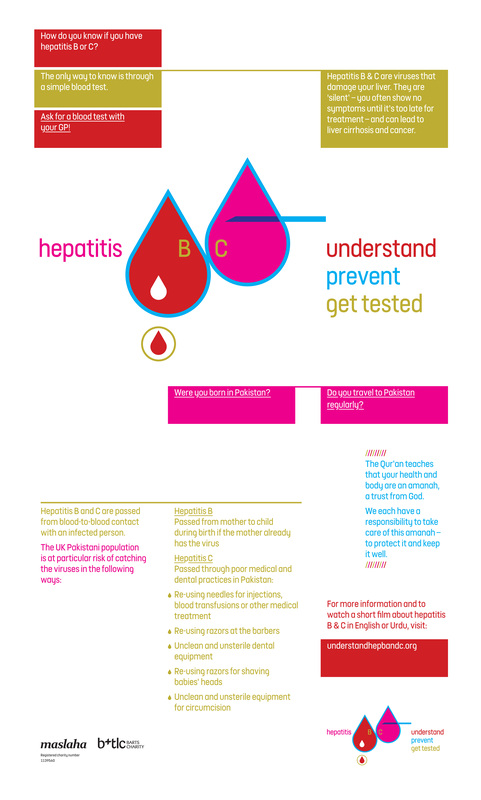 You can request a blood test for hepatitis B and C through your local doctor (General Practitioner or GP). Blood test. This requires a small amount of blood being taken from the arm, which is sent away for analysis. GPs and practice nurses can perform this test. Saliva swab, for hepatitis C only. The infection itself is NOT present in saliva, but can indicate if the virus has ever been present in the body. A blood test will confirm this. For further reading and organisations offering services and support, click here. If you work for a community group/organisation or mosque and would like to share the films more widely, we have DVDs and posters available, for community screenings, health and wellbeing events, or similar. The DVD has both the English and Urdu films; please be in touch to order a batch. You can also download the poster here. The films are suitable to share with both medical colleagues as well as patients.